You love your cats and they don’t judge you, but occasionally, you’ll have to interact with other people. People are super judgemental. In those moments, you’ll probably want fresh breath. 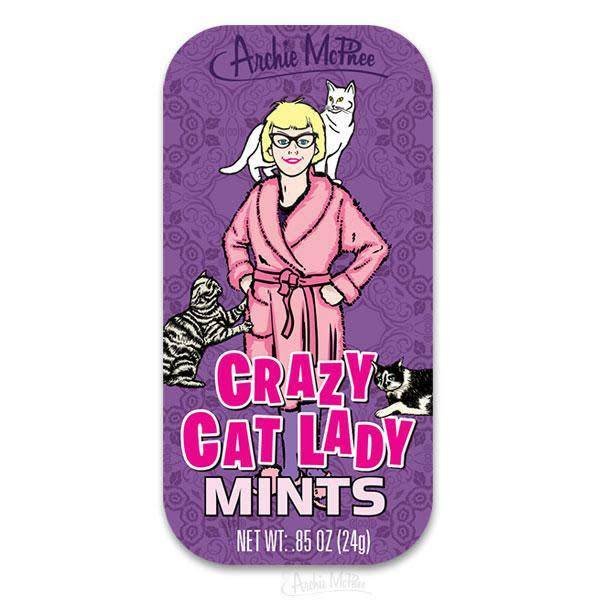 These Crazy Cat Lady® Mints are a dash of minty freshness that lets you celebrate your kitties when you can't be with them. Each 3-1/8” x 1-1/2” x 1/2” tin contains .85 oz. of mints.